Blog: Ankle Pain on the Brain? Ankle Pain on the Brain? Do you experience ankle pain while walking? While running? Or maybe first thing in the morning when you wake up? Ankle pain can be caused by a myriad of things, and shouldn’t be taken lightly. Pain in the ankle can be caused by an injury, a medical condition, like arthritis, or from repetitive strain from walking, running, or jumping. Consequently, ankle pain can prevent you from the activities you enjoy, and that is, simply put, a bummer. The good news is that custom orthotic inserts may be the solution you’ve been looking for. Orthotic inserts can help to stabilize a weak or previously injured ankle, and can also help to absorb the shock from walking or running to keep your ankle from overpronating, which can lead to unnecessary and painful strain to the tendons in your ankle. To find out if orthotic inserts could be the solution to your ankle pain, give us a call and set up a consultation exam today! Dr. Michael Horowitz offers a 5-Step process for relief & treatment of ankle pain in Vancouver. 1) consultation & postural examination, 2) electronic gait scan analysis, 3D foot scan & biomechanical evaluation, 3) custom orthotic fitting, 4) orthotic dispensing, 5) follow up care. 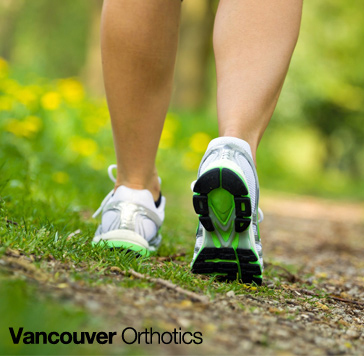 Call me at 604-737-3668 to discuss further or email Dr. Michael at info@vancouverorthotics.ca to take action & solve your ankle pain issues today.